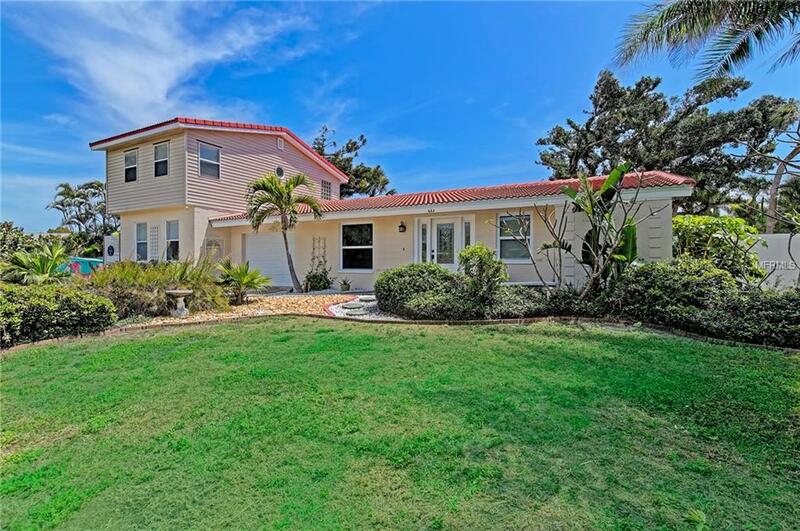 Anna Maria Island, 4 bedrooms, 3 1/2 baths, plus an office that could easily be converted to 4th bedroom duplex home on oversized lot in a beautiful, neighborhood.10 houses from the azure gulf beaches, room for a pool, current rental market value over 50K potential as annual & higher for seasonal. 1600 Square Footage on 3 B/R side has a private screen porch. Includes living room and family room. Jetted tub in hall bath. Very quiet cul-de-sac. Great mature landscaping including large banyan tree in backyard. Live in one side and rent mother in law. Currently rented for a year at 1600.00/ month & tenant is happy to stay. Or rent both sides until you are ready to become a full-time islander!One bedroom side is 900 s/f and has lg. deck with a green view at end of the cul-de-sac. The first level of in-law apt has a great room with living room/dining area, kitchen,& half bath. 2nd fl.has a sitting area and spacious master bedroom, large walk-in closet and large bathroom W/ shower and jetted soaking tub. Quiet location is an ideal and highly desired residential area. One car garage separates the 2 living areas. Many new improvements include tile roof, garage door, screen porch, and deck. This is a perfect property to ensure your place in paradise! Call to schedule appointment. Excellent potential for income, great return on investment. See virtual tour pic's for high res images. Can be rented weekly.